I was on the road when today arrived, a little sleepy and a lot happy. 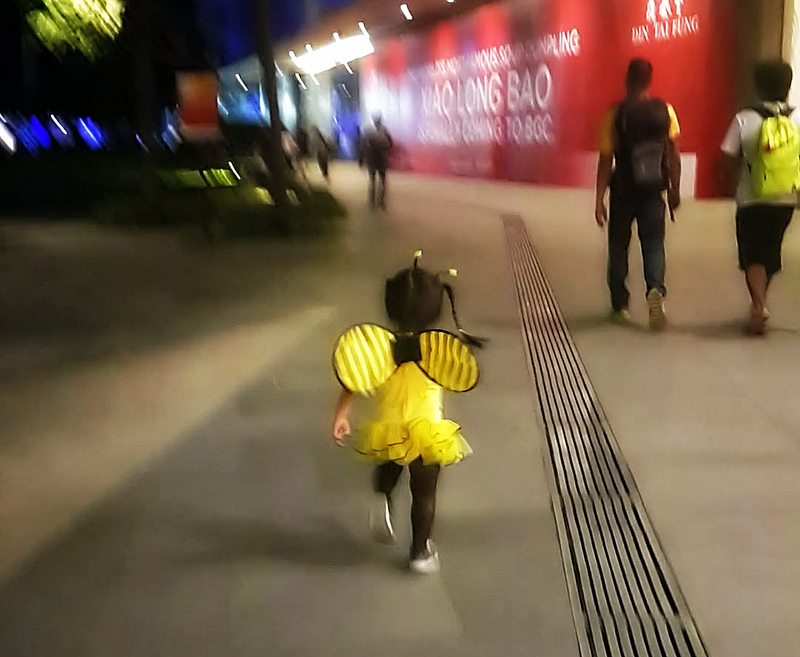 I was coming home from a Halloween party with my niece Kiara, who had spent the afternoon at her mother's office, pretending she was a bumblebee in exchange for candy. My brother-in-law was driving, and I found myself talking to him about what I think I want to do with the rest of my life. Surprisingly with more clarity than ever. I am too tired to write about it now, and I might not have enough time to write about it tomorrow, so I'll just make a note of some realizations that have been meaningful to me on the road to 39 and hopefully I'll get to write about "what I want to do with the rest of my life" as I'm living it. 1. You do decide when to give love and when not to. 2. But you do not want to die without giving love, so give it. 3. Your fears can come true, but you get to choose what to make of them. 4. Sometimes, you can't find the good in people. That's when you need to bring out the good in you. 5. You can always walk away. But when you do, at least have an idea of what you're walking towards. Thank you, I love you, good night.